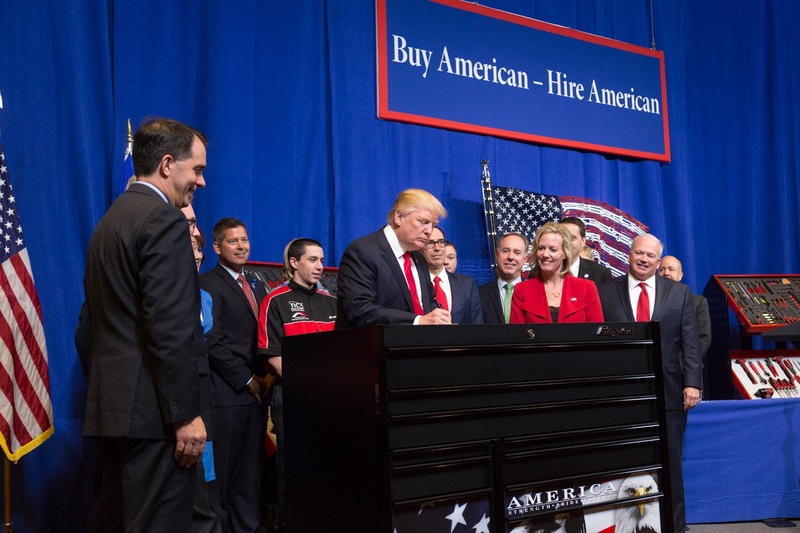 On Tuesday, April 18th, President Donald J. Trump signed an Executive Order aimed at strengthening and enforcing his “Buy American, Hire American” agenda. The President was joined by Wisconsin Governor Scott Walker, Senator Ron Johnson, and his Chief of Staff and Kenosha native Reince Priebus. Treasury Secretary Mnuchin and Education Secretary DeVos also joined the President at Snap-on Tools.